Just ok... if you remember to check it. It doesn’t send my alerts, the set up is kind of weird. There are no countdowns or reminders (even when you have it set to remind you ahead of time) and you cannot individualize reminders and the reminder sounds are strange (not that Reminders work anyways, and yes I have allowed push notifications in my settings). 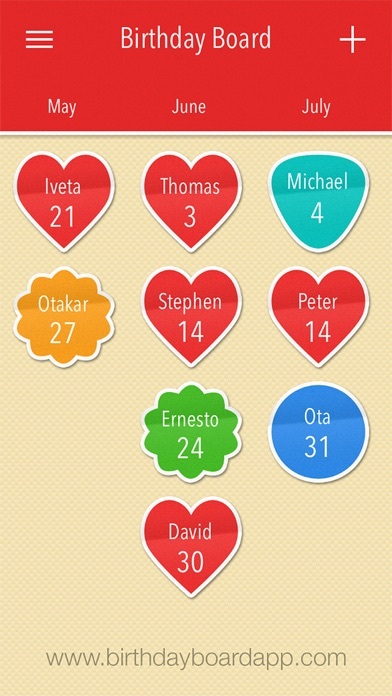 It takes forever to set up each individually and using the “from your contacts” not only lets them have all your contacts info, it’s a disaster and doesn’t work so you have to add each birthday manually. I’ve had it for years and it’s I mostly forget it’s even there. There’s been no updates in over 3 years. 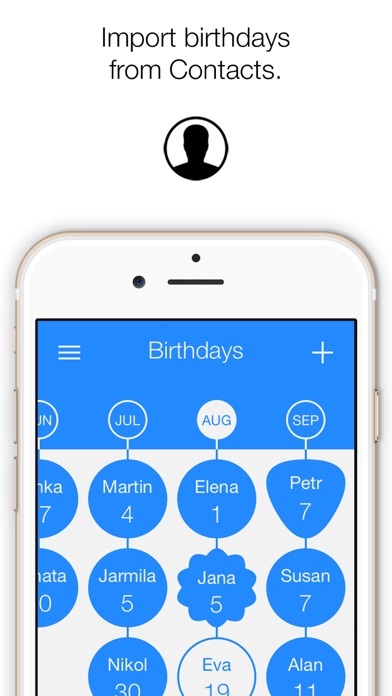 You might as well just set your phone to show birthdays in your calendar. UPDATE: DO NOT TRY TO ADD A SECOND BOARD! IT’LL DELETE YOUR ORIGINAL BOARD. DELETING. I can’t input info on without some ad getting in the way. Used to be the go-to app and you just messed it up. How about you work on that instead of figuring out how much you can bill off people? I wish I could add other dates, like anniversaries. Had an app on my Android device that was amazing. Switched back to iPhone and this is the only app that came close. Unfortunately I have to turn off the sound every time I go to use it. The ads are so loud and take a long time to get to a close option. Because of that I only open it about once a month to see what’s coming up. It sings to you a couple days before events to remind you. In some ways that’s good but it’s not my favorite notification. Otherwise easy to use. 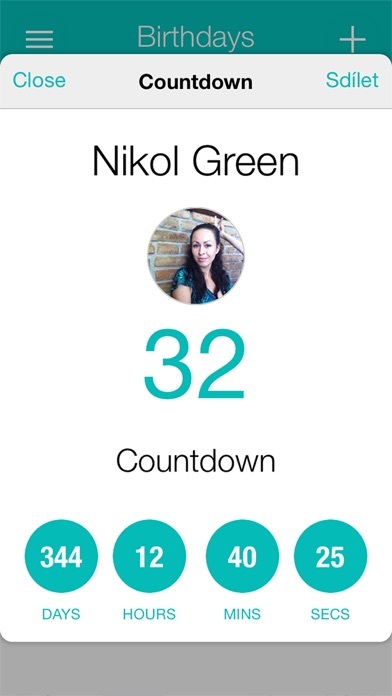 Interface allows you to quickly see dates you’ve saved. Option for birthdays and anniversaries. So far so good. I like that I can do anniversaries and events. It would be nice if it acknowledged that Annivs were for couples rather than individuals. I like that you can use a date even if you don’t know the year. Seems like a handy app. 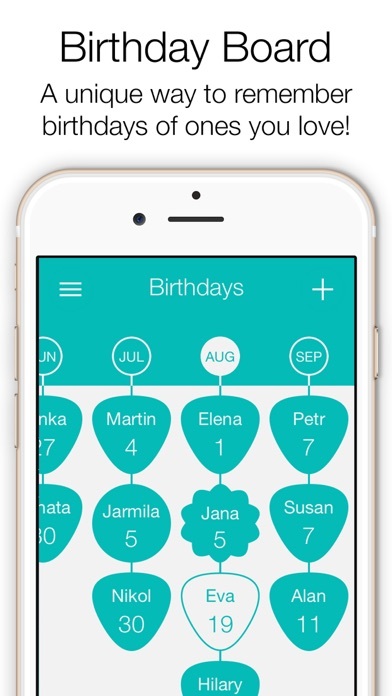 There was a problem with importing birthdays from my contacts - all were imported one day later than as actually listed in contacts. Ended up having to manually edit. Loaded dates over the last two months. Today it just crashes every single time I try to launch. I have rebooted my iOS several times. Afraid to delete and reload, as I may lose the data I entered. Can’t find the developers contact info beyond a link that says I don’t have access. Please tell Me this is being taken care of!!!!! 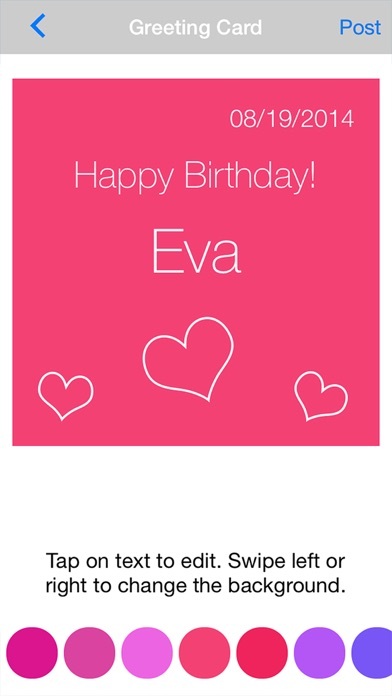 Being the loving but forgetful grandmother of 18 grandchildren, I am so appreciative of the Birthday Board app. Not only do I now know that there is a birthday coming up, I also know in plenty of time, WHOSE birthday it is. Now I can get a gift bought and wrapped or a card in the mail. So who gets the, “MOST AWESOME GRANDMA” award! This girl, that’s who. Thank you Birthday Board. I could not figure out why all my reminders were coming the day before and the day after everyone’s birthday. Figured it out today. This app added a day to all of them! If a birthday fell on 15th it put it in as 16th. It did this to all 24 of my entries! I know when my birthday is and it was even wrong. There is no chance in hell I put in all 24 birthdays one day later. Will be looking for a new more reliable app. The ads popping up and taking over my screen every 60 seconds is completely ridiculous and make this app too annoying to use.